According to a new report North America Mixed Reality Market, published by KBV research, the North America Mixed Reality Market would witness market growth of 75.6% CAGR during the forecast period (2017-2023). The US market holds the largest market share in North America Hardware Mixed Reality Market by Country in 2016, and would continue to be a dominant market till 2023; growing at a CAGR of 80.1 % during the forecast period. The Canada market is expected to witness a CAGR of 77.1% during (2019 - 2023) in North America Software Mixed Reality Market. Additionally, The Mexico market is expected to witness a CAGR of 75.5% during (2019 - 2023). The Aerospace & Defense market holds the largest market share in North America Mixed Reality Market by Vertical in 2016, and would continue to be a dominant market till 2023; growing at a CAGR of 74.8 % during the forecast period. The Consumer Electronics market is expected to witness a CAGR of 76.1% during (2019 - 2023). 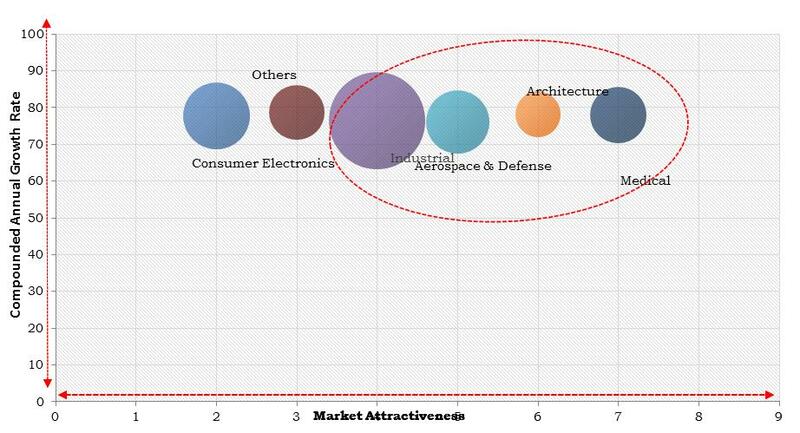 Additionally, The Architecture market is expected to witness highest CAGR of 76.7% during (2019 - 2023). The Wireless market holds the largest market share in Mexico Mixed Reality Market by Device Type in 2016, and would continue to be a dominant market till 2023; growing at a CAGR of 75.3 % during the forecast period. The Wired market would garner market size of $40.3 million by 2023. The market research report has exhaustive quantitative insights providing a clear picture of the market potential in various segments across the countries in the region. The key impacting factors of the North America Mixed Reality Market have been discussed in the report with the competition analysis and the elaborated company profiles of HTC Corporation, Intel Corporation, Magic leap, Inc., Microsoft Corporation, Facebook, Eon Reality, Inc., Google Inc., Samsung Electronics Co. Ltd., Seiko Epson Corporation, and Meta Company.